The GCC Standardization Organization (GSO) participated in the ” Re-Call vehicles and its role in road safety” seminar organized by the Public Authority for Consumer Protection of Oman, Muscat 13 January 2018, under the patronage of His Excellency Sheikh Khalid Bin Omar Al Marhoon, Minister of Civil Service of Oman. In his speech, HE the Minister of Civil Service stressed the importance of the seminar in the definition of the parties concerned with industrial defects, whether for vehicles or others, and the damages resulting from them. He praised the efforts of the relevant governmental bodies in this field. His Excellency Saud Bin Nasser Al Khusaibi, Secretary General of (GSO), explained that the recall of vehicles is a consumer right to know the defects that appear on vehicles and how to deal with them by the manufacturer. He pointed out that GSO has a role in this aspect through conformity certificates for Cars, tires and motorcycles, where a manual was issued explaining how to make the call. He also mentioned that the (GSO) participated in the seminar with a working paper on (the procedures taken by GSO in the field of recalling vehicles). In addition, he pointed out that there is direct coordination between (GSO) and the concerned parties in the Member States in case of technical faults or defects in one of the models of vehicles Tires or motorcycles. For his part, Dr. Saeed Bin Khamis Al Kaabi, Chairman of the Public Authority for Consumer Protection of Oman, said that the recall and repair of defects in cooperation with the car agencies operating in the Sultanate resulted in the recall of approximately 900 thousand vehicles during the period from 2014 until the end of 2018. In addition, he indicated that since its establishment, the Authority has paid great attention to this aspect and has endeavored to apply best international practices. Recall campaigns and follow up effectively by diversifying the sources of knowledge of what is being done in the field of recalling around the world either in partnership with specialized international sites or in cooperation with concerned bodies such as (GSO) and the Global Consumers Organization. The seminar also reviewed a number of working papers that dealt with the introduction of the vehicle recall system, improving the safety of vehicles through independent consumer information, the vehicle recall system in GSO, and reviewing the experience of the Zawaoui company in recalling Mercedes Benz vehicles, and will be held on the sidelines of the seminar exhibition that will review the most important efforts of the Commission in the field of calling vehicles. The seminar aimed to identify the most important technical aspects related to the recall of vehicles and the knowledge of the economic, social and health effects of technical failures and highlighted the legislation, laws and procedures related to this aspect. 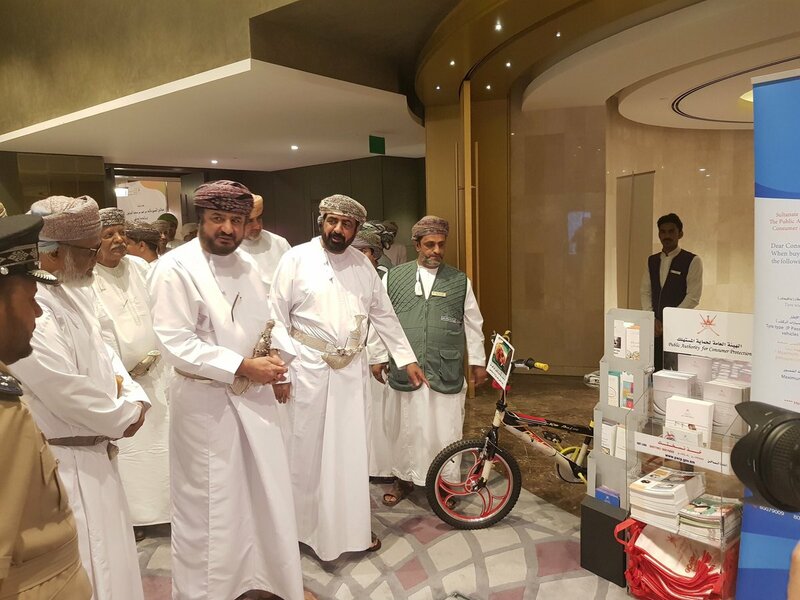 A number of researchers and specialists from inside and outside the Sultanate participated in the symposium. The seminar was organized within the framework of efforts to preserve the rights of consumers and raise awareness about the importance of calling vehicles, and to find out the most technical aspects related to the field of recalling cars, to know the economic, social and health implications of technical failures related to vehicles, and to identify the most prominent legislation, Vehicles, as well as within the framework of effective partnership between the institutions of the community concerned with the field of recall, and for the exchange of experience and experience between these bodies and institutions.